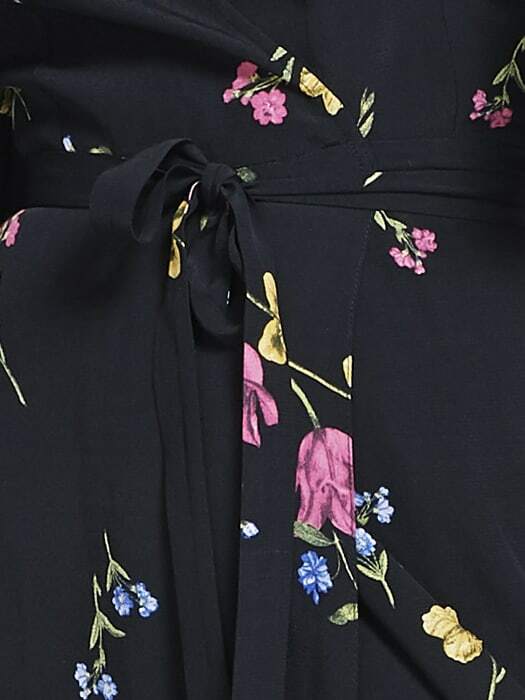 A standout for summer, this black Wrap Floral Midi Dress is guaranteed to turn ALL the heads. 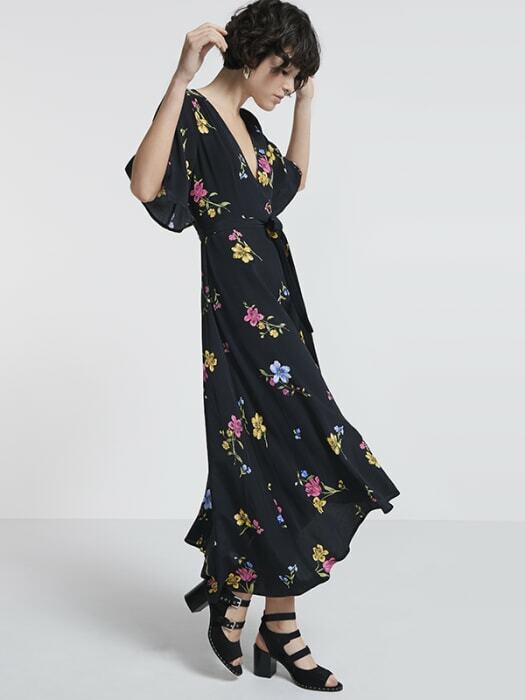 With kimono-styled sleeves and an asymmetric skirt, the oriental shape gathers in at the waist thanks to a self-tie belt. Style-wise, black heels are a given, but why not try drawing out the pops of floral with tonal accessories… a blue clutch, perhaps?